There are several recipes for making chhole, this one originates from the land of five rivers, Punjab. Also called as chana masala, this recipe uses dried amla (or a tea bag) in the recipe, dried anardana, and fresh herbs and spices that give it a delightfully fresh flavour, and texture. 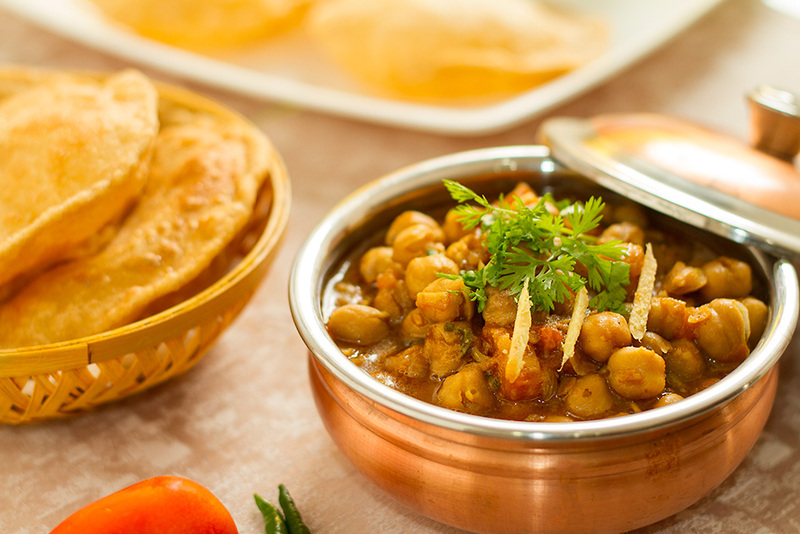 While soaking kabuli chana overnight is best, if you are in a hurry, you can soak them in hot water for four-five hours and while boiling use cooking soda. I would howeve advise soaking them for at least 10-12 hours and skipping the soda. Wash the soaked chana and boil it with a tea bag and salt. While the chhola is being cooked, prepare the chhole masala by roasting and grinding, cumin seeds, bay leaves, black cardamom, cloves, cinnamon stick and black peppercorns. To this powder add amchur powder and anardana and grind again. This is your punjabi chhole masala powder. Heat oil in a pan and saute onions till they are brown. Add ginger and garlic and continue sauteing till the raw smell disappears. Add ground coriander, turmeric powder, red chilies powder, garam masala and 3 Tbsp of chhole masala and fry well. Sprinkle about 3-4 tbsp water and continue frying the masalas on low heat till oil starts floating. Add the chopped tomatoes and cook till the masala is mixed well and oil starts floating again. Add the cooked chhole, mix well and simmer for about 20 minutes for the masala to get absorbed in the chhole. Taste for salt and spiciness. Adjust salt and chhole masala if needed and cook for 5 minutes. Sprinkle fresh coriander and serve hot. Punjabi chhole go best with bhature, puri or kulcha but you can serve them any bread (Roti/paratha/Pav) or with steamed rice.